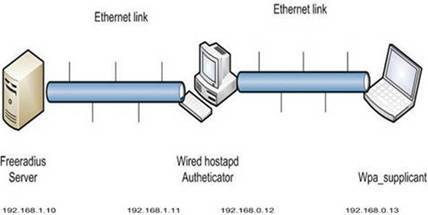 But in case of wired scenario,  authenticator is able to receive the request but is not able to forward to radius server. Where am I missing something? I am able to ping from Freeradius to hostapd machine.